Worcester is home to 26% of the total refugee population in Massachusetts; helping contribute to a diverse and multicultural community. In fact, between 2007 and 2012, Worcester welcomed approximately 2,196 refugees to the city. Many of these new residents come from Burma, Iraq, and Bhutan. Being an integral part of the Worcester community, the mission of the YMCA of Central Massachusetts (Y) is to “strengthen [their] communities and to develop the spirit, mind and body of all persons, regardless of means, through activities guided by and based upon [their] core values of caring, honesty, respect and responsibility.” As an active organization in Worcester, the Y sought to understand why newcomer populations were not heavily represented at the YMCA? To answer this question, the Y pursued the help of the Worcester Community Project Center seeking to make the Y a welcoming and useful resource for newcomer populations. To answer this research question, we wanted to understand what relationships exist within Worcester to benefit the newcomer populations and how the Y could serve as an additional resource to newcomer populations. In order to do this, we developed the following two objectives. The first objective was to identify community leaders at various newcomer organizations to understand what is needed to help the Y build strong relationships with newcomer populations. Through interviews and phone conferences we established relationships with African Community Education, Worcester Refugee Assistance Program, Urban Missionaries, Southeast Asian Coalition, and many more. For the second objective, we wanted to identify the needs and interests of newcomer populations here in Worcester. We accomplished this goal through follow up interviews with organization leaders, volunteering at the local organizations and having brief informal focus group interviews with members of these organizations. Through objectives one and two, we identified a series of findings that determined the final deliverable of this project. We discovered that newcomer populations face numerous challenges when integrating into a new community. Although we anticipated certain challenges prior to beginning our project, our interviews with organization leaders and organization members, helped us to understand some of the complexities of newcomer integration. For example, we anticipated that many new residents may have trouble with reading and writing in English. To accommodate for this, we believed that surveys and interviews written in the native language of the newcomers would be useful. However, after interviews it became clear that many newcomers are not literate in their own languages, in addition to English. Importantly, through our research, we identified ways that the Y may be an important and useful resource for the newcomer communities. 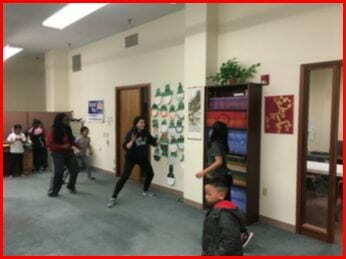 We discovered that there are numerous organizations serving the newcomer populations in Worcester. We interviewed a variety of organization leaders that gave us credible information about the challenges of running their non-profit organizations. For example, according to Amy Connery from African Community Education, we learned that organizations serving newcomers are constantly challenged by a lack of available space to host their programs in the city Also from interviewing organization leaders such as Walter Doyle from Urban Missionaries, we learned that newcomer organizations are interested in being more connected to other organizations in Worcester. These findings helped us identify a niche the Y could fill by bringing together organizations that serve newcomers and the newcomers themselves. 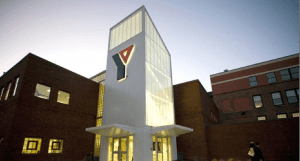 Consequently, with the Y excited to pursue our ideas, we developed an action plan for the Y to host an Opportunity Fair for the newcomer populations. The Spring 2017 event, entitled “Spring into the Community: A Multicultural Extravaganza at the Y” is intended to bring awareness to the various organizations in Worcester dedicated to helping the newcomer and refugee populations. The event is open to the public to highlight all of the opportunities in Worcester and to allow these organizations to connect with each other; opening the doors for cross programming between organizations and finding more volunteers to help out the newcomer and refugee populations here in Worcester. The event will have booths hosted by the individual organizations. In addition to this, there will be activities for children, adults, and social time with food and beverages. There will also be local organizations such as hospitals, churches and legal advocacy groups that will be present to spread awareness about their services. In addition to our primary deliverable, we also created a series of recommendations we believe will continue to help the Y connect with newcomer populations in Worcester. We propose that the Opportunity Fair be an annual event, to collaborate with newcomer organizations and potentially to create a coalition, to host quarterly meetings for the organizations that do meet frequently, to sponsor newcomer organizations through an already established soccer tournament and lastly, to create a subsidized membership program for the members of newcomer organizations. 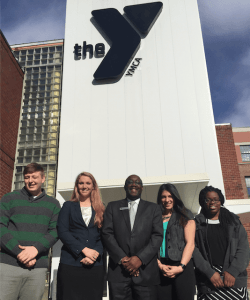 The YMCA has a primary goal to “strengthen the foundations of the community.” In accomplishing their mission statement every day, they have developed a series of programs that benefit youth with their academic and extracurricular activities. The YMCA of Central Massachusetts is dedicated to the Worcester community. The action plan for the Opportunity Fair and our additional recommendations, lay the groundwork for the YMCA to start something new and exciting for the Worcester community: an annual gathering to celebrate the many nonprofit organizations and the newcomers they serve who are in need of the strength and unity that the Worcester Y provides.